Do you smell what #TeamFabio is cooking? Wooden spoons with burn marks from leaving the spoon on the side too long…. Cast iron pots as old as the Roman Empire…. Slow cooking vegetables to season a broth for eight hours…Grandma’s secret to bringing the family to the table. Soups are all this and more, in my world! Soup is cost effective, full of flavor, and soul satisfying. Black Bean with Sausage, Butternut Squash Bisque, Broccoli and Cheese, and don’t forget a hearty 4-hour Beef and Vegetable. These days, soups are such a staple in my kitchen, and they last for the whole week to feed loved ones. Soups are the perfect solution to our busy, hustle and bustle, “gotta get the kids to school” kind of days. They don’t require much attention once everything is in the pot, so you are able to step away from the stove for 30 minutes or four hours, depending on what you are making. Plus, the aroma from letting something sit on the stove just makes everything better. Studies show that releasing food aromas into your house actually can help reduce stress. I mean, I know they are delicious, but they can also help me relax? 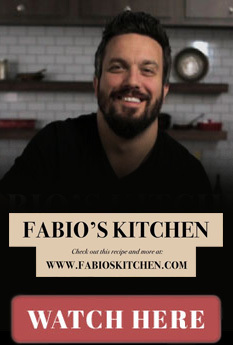 That’s a two-for-one courtesy of your friend, Fabio Viviani. • Go Big for the Win – Just go BIG. When you are making soups, don’t make just one batch for dinner. Cook like you are making dinner for 8-12 people. I know what you are saying in your beautiful brains, “Fabio, I don’t want to waste my food if I’m only cooking for one,” but I have a method to my madness. Freeze them. Yes, you heard me – FREEZE THEM. Once cooled down, portion them out into individual servings, date and label them, and there you have it. Anytime during the week, you have a perfectly portioned, seasoned and convenient meal. This way you don’t have to spend every day cooking. Cook once and eat all week. • Steps to Success – There are 3 basic sections to soup making: the base, aromatics and liquids. Soups start with a base of vegetables, usually including onion, carrots and celery. In the culinary world, we call this mirepoix (mirror-pwah). I want to make sure you sound super intelligent at your next dinner party! Whether you sweat or caramelize the vegetables, after this, comes aromatics. Fresh herbs, tomato paste or additional seasoning is done here. 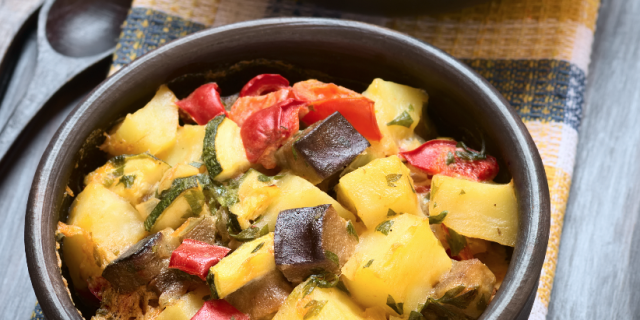 The heat of the vegetable base helps to release the aromas and begin cooking them. Once you have the perfect fond (the sticky pot bits), liquid takes the stage. Wine, stocks, water, or even a touch of vinegar lift everything off the pot and combine all the flavors. Think of your bed for a minute – start with the mattress for foundation (vegetables), add sheets to your personal style (aromatics), then the throw pillows that bring it all together (liquid). Your bedroom will never be the same….Go get em’ tiger!! • Base is Best – The finishing touch is the most important, though. You can have great flavor built up, but without a flavorful liquid, the soup deflates. I rarely use water in my soups. Rich chicken, vegetable and beef homemade stocks are the way to go. If you are looking for just a touch of those flavors, you can cut it with water. But for full “do you smell what the Rock is cooking” flavor, find the stock that works best and go for it. Can’t make stocks at your house? There are plenty of great store bought stocks readily available, and you shouldn’t feel bad about using them at all. Embrace the flavor!